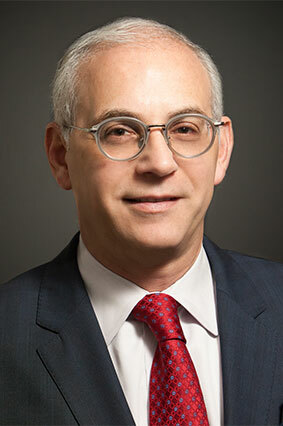 Jon R. Del Giorno manages the firm’s New York City consulting and government relations practice. On behalf of the firm’s public and private sector clients, Mr. Del Giorno oversees procurement advisories; and advises on government contracting, administrative and regulatory matters, legislation and initiatives at all three levels of government. He engages in direct government and legislative advocacy on behalf of corporate, not-for-profit and small business clients. Mr. Del Giorno has more than 30 years of experience in government and government relations. Prior to founding Pitta Bishop & Del Giorno LLC, he was a senior government relations specialist with Pryor Cashman Sherman & Flynn, LLP. He previously served as executive assistant and community liaison to several City Council members; legislative administrator for City Council Services; assistant to the deputy borough president and a designated voting member of the former New York City Board of Estimate; and director of public affairs/communications and administrative manager for the New York City Board of Elections. He has been a featured speaker and participant at public events, newscasts and forums on government policy, public affairs, and technology in government and City/State politics. He has served on the Board of numerous charitable and advocacy organizations including: Seaman’s Society for Children and Families; League of Conservation Voters-New York City Chapter; The Dakota Group; Richmond Home Need Services, Inc.; New York State Institute on Disability, Inc.; and The United Nations Association-USA Chapter. Mr. Del Giorno has served as the chairperson of many fundraising events to benefit community organizations including: Community Health Action Network; The Council of Arts & Humanities; The Greenbelt Conservancy; Human First; New York City Center for Interpersonal Development; The Friends of Alice Austin House Museum; the Parker Jewish Institute for Health Care and Rehabilitation and the establishment of the Hon. Vito J. Titone Scholarship Fund at St. John’s University School of Law. He has also chaired numerous political party and campaign fundraising events throughout New York State.